The new products keep on coming from our Signature Letterpress line! You’ve been asking for these, and we listened. 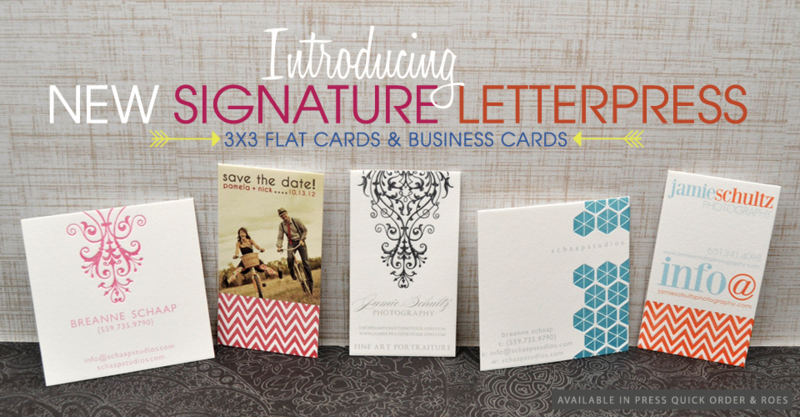 We’re excited to announce Signature Letterpress Business Cards and 3×3 Signature Letterpress Flat Cards. Our new 2.5×3 calling card puts a modern spin on a traditional process using the high-end look of embossing. Like its sibling cards of larger sizes, the business card prints on Premium Cotton paper to create a luxurious branding tool that really stands out from the crowd. 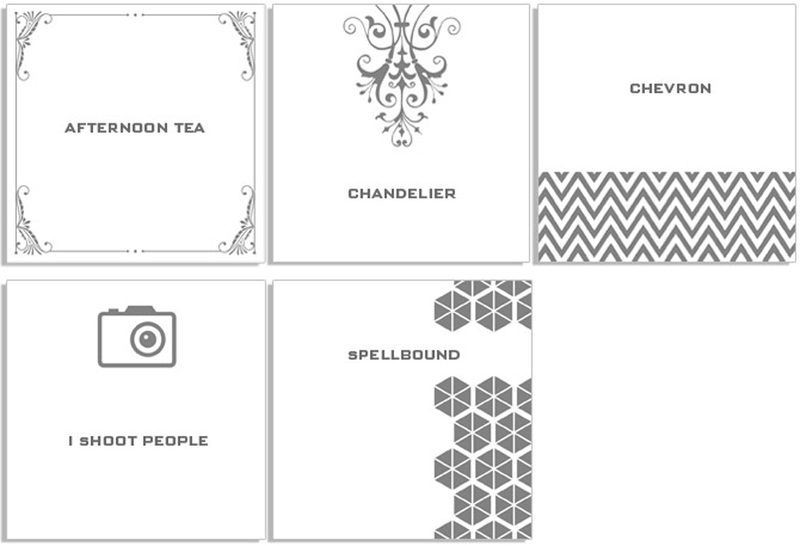 For an even more unique way to leave a lasting impression, try our new 3×3 Flat Card. Also use this option for a fresh take on save the dates or a memorable leave behind for weddings. Choose from five drag-and-drop templates and eight colors, including red, green, charcoal, platinum, orange, pink, ocean blue and purple. Due to the letterpress technique used, the pressed colors are more distressed and may vary from card to card. See your template choices below. If you are intrigued and want to get your hands on the new business card or other new Signature Letterpress products, purchase a Letterpress sample kit for $10. The kit includes a selling booklet displaying all templates, letterpress color swatches, and letterpress cards representing each size available. Place an order for the kit within our Billable Supplies. Visit the website to learn more about creating a consistent message for your studio with our new tasteful branding tools, Signature Letterpress Business Cards and 3×3 Flat Cards. 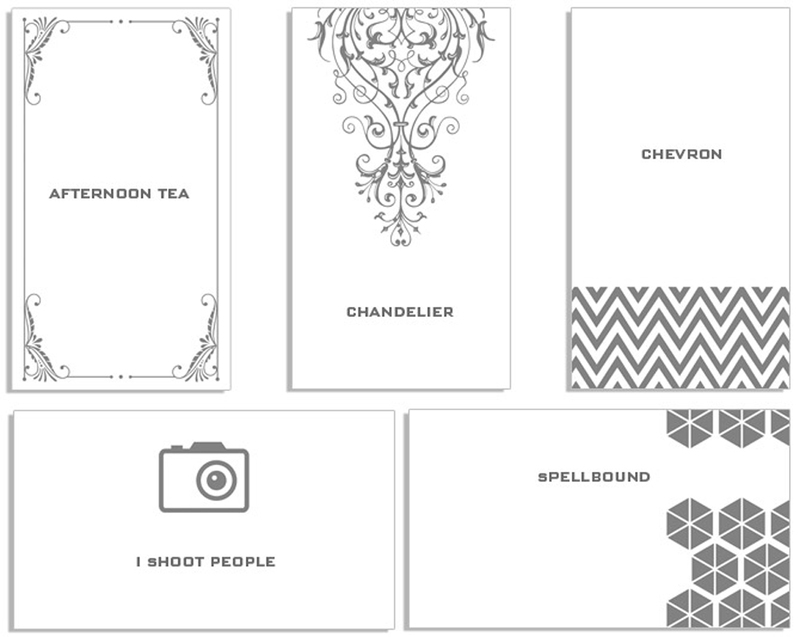 Please Note: Letterpress Business Cards and 3×3 Flat Cards are single-sided printing only. We are currently working on double-sided printing and will release more information once it’s available. Hi i need to buy a kit if this template…but did you send to chile? How much is the shipmen? Quedo atenta a su respuesta mucha gracias. Hello Karina, unfortunately we do not ship to Chile at this time. Thank you!